I am working on a quilt that I have not blogged about before. It will be used as a fundraiser. 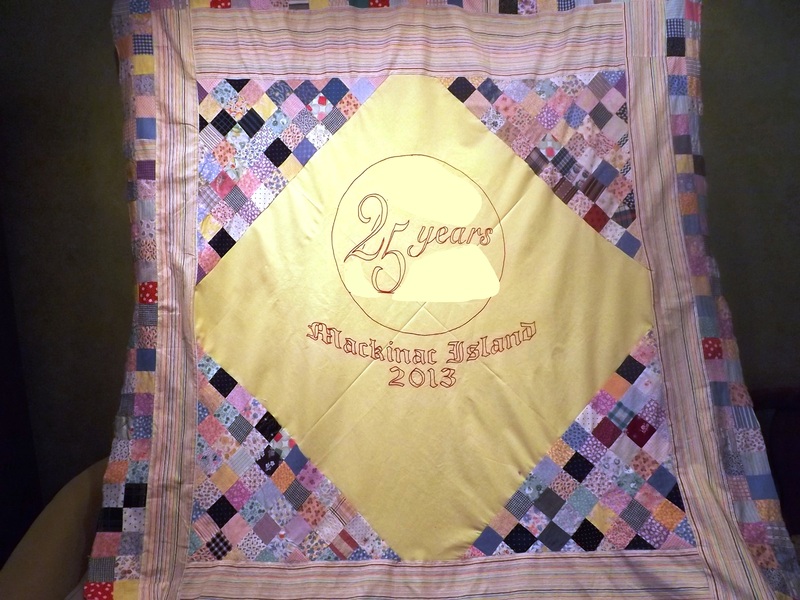 It will be raffled off at an annual meeting (the 25th anniversary) on Mackinac Island in October. I cant show the entire quilt yet, because it is secret at this point so I am blocking out the name but here is a bit about it. I am using an old top as the main part of the quilt. It is a top that was made in stages over a number of years. The center with its indigos, shirtings, madders, and pinks is much older than the rest….I took out the center and saved that for another project ( I might just quilt it as is for a small quilt) and replaced it with a new yellow fabric with the organization/event logo embroidered on it. 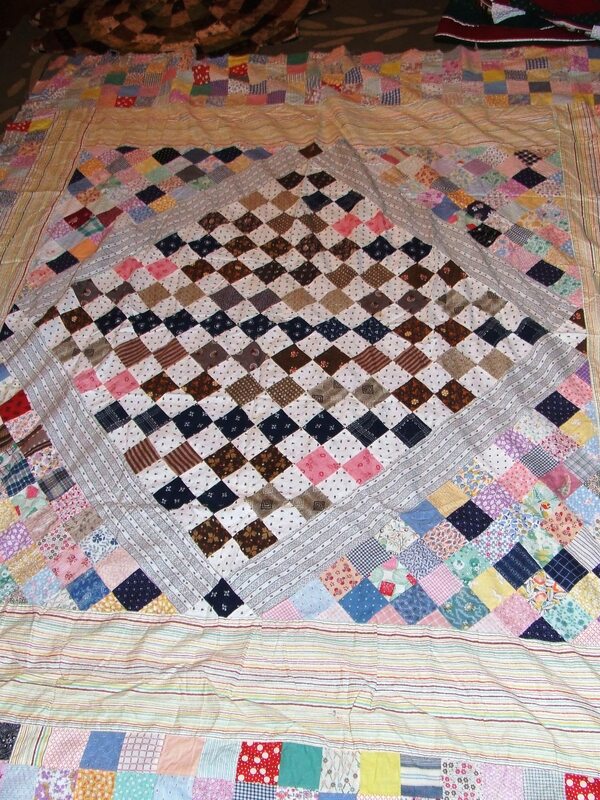 This entry was posted in Quilts and tagged hand quilting, Quilts, vintage quilt top. That looks fantastic. Well done you. I love the colors and fabrics. I can’t wait to see what you do with it.